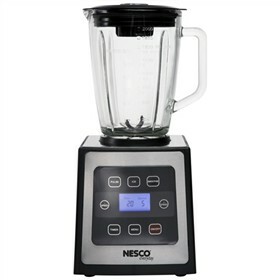 The Nesco BL-90 digital blender has a powerful 700 watts motor and a large 1.5 liter glass jar. 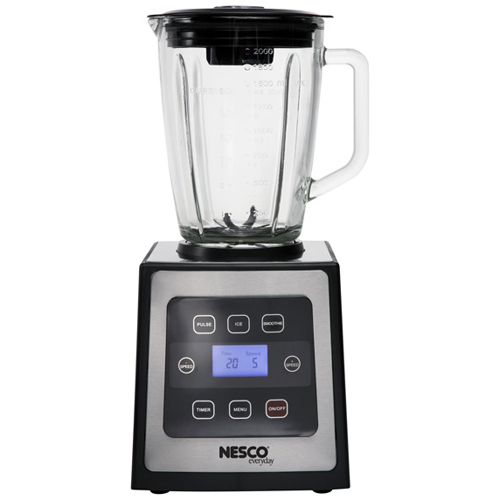 The blender features 8 buttons for smoothie, ice, pulse, speed +, speed -, timer, menu and on/off. Additionally the blender has a touch screen with LCD display, safety lock and a power cord storage for a 30" cord. The Nesco BL-90 has many exciting features for users of all types. You can extend the lifetime of your Nesco BL-90 with the purchase of a FactoryOutletStore Factory Protection Plan. The Nesco BL-90 is sold as a Brand New Unopened Item.